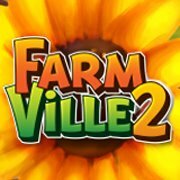 Hack or Cheat to get free 100 Cash Expansion in the game FarmVille 2. The tools used and steps you can follow and get in the intruction below. Value type from "4 bytes" to "Text" or "String"
Click the 1st address, Hold Shift and then click the last address. Click on the red arrow. Close the box without expanding. Reload the game or visit your friend then return. Your farm will be able to expand with the red check now.